brought supplies and worked with us all day to help with Hurricane Sandy relief efforts. Act Now: No More Militarization of the Border. Yes to including Workers! 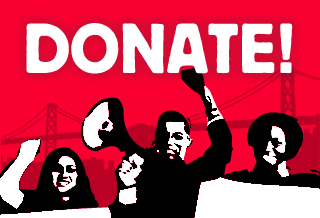 Action Update: The 99% turned out & shutdown Oakland foreclosure auctions!